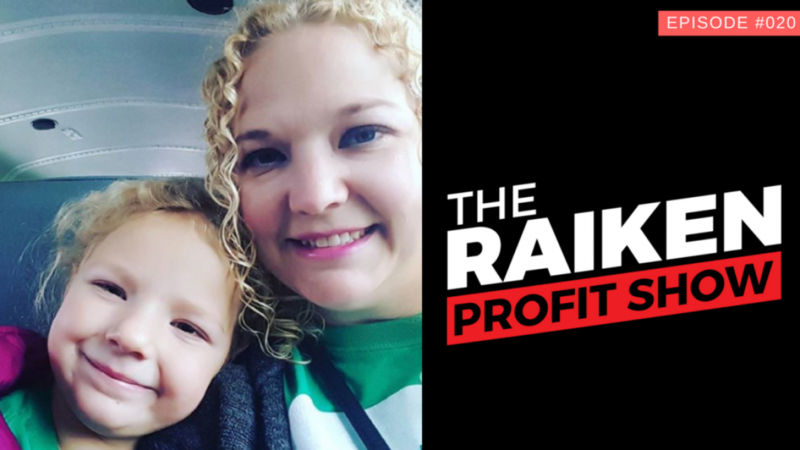 In episode #020 of The Raiken Profit Show we talk with Kristin of Mommy Income about how she’s sold $500,000 on Amazon. Kristin initially started selling on eBay back in 2003 and moved onto selling used books in 2008. By 2010 she grew her business into retail arbitrage buying and selling items from retail stores such as Walmart and Target. Following her husband’s injury at work, and some rough times in her life, she decided to take life into her own hands and went full force into selling wholesale bundles on Amazon. This show is going to be jam packed with practical information that will motivated and educate you when it comes to starting an Amazon FBA business. If you like this show be sure to like, comment, and subscribe on Itunes!